Generations of clients have relied on the expertise of Scottie's Interiors to design and furnish their homes. Located just off the beaten path in a predominantly residential area on Wausau's West Side, the building Scottie's calls home was once the neighborhood dry goods store. The brick building has been remodeled to accommodate working design studios and showrooms, but its historic integrity has been maintained. The atmosphere is unique - resonating a special warmth that reflects Scottie's legacy of creating rooms that invite one to relax and linger. 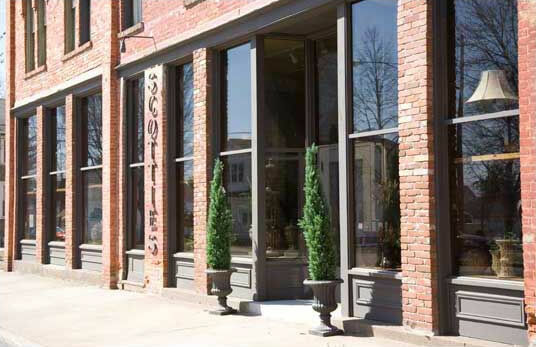 Family owned since 1972, the focus of Scotties has been to create spaces for clients that reflect their personal style, serve the functional needs of their family, and to endure the test of time. Over the years Scottie's work has included a wide variety of spaces. We have designed residential spaces as well as churches, universities, professional, medical and dental offices, and many other commercial settings.